We're Sandy Ranch Outfitters, game hunting engineers. We hunt three ranches in the Central Texas Hill Country. 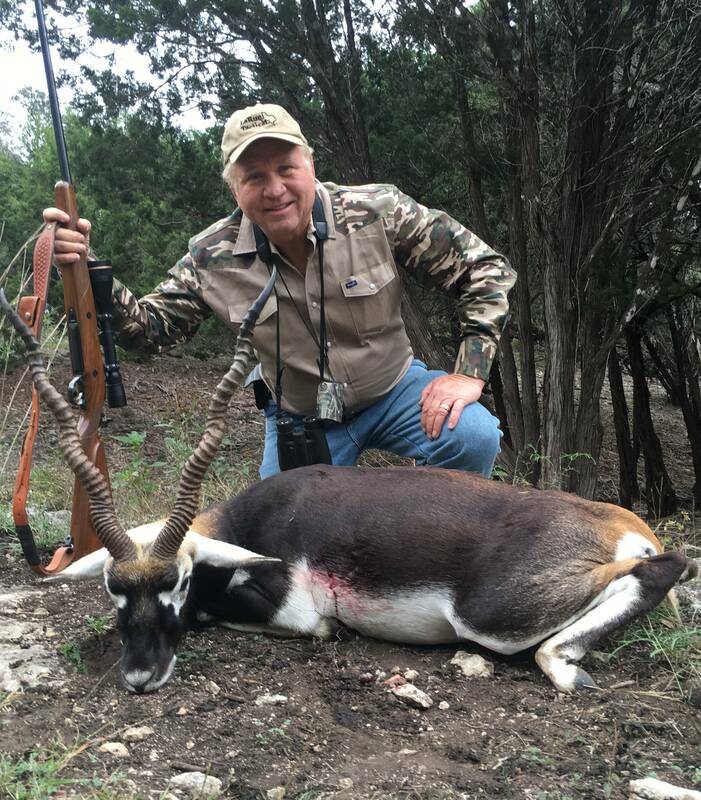 Our guests are on the lookout for Texas Whitetail, Rio Grande Turkey, Blackbuck Antelope, Addax, and feral hogs. A northern African antelope, the addax has extraordinarily long horns that are prized by trophy hunters throughout the globe. Typically addax horns measure 28.5 inches but we’ve seen up to 32 inches in central Texas. Males generally weigh up to 200 lbs. while females average around 150 lbs. Adapted to the southwestern Sahara desert, an addax can go weeks without water and survive internal temperatures of nearly 115°F. Moreover, they have exceptionally broad feet, perfectly adapted to manuvering the sandy northern African terrain. They are an amazing animal to hunt and harvest. Harvest fees are in addition to applicable day rate. See Pricing for details. We keep our pricing straightforward and reasonable so there is no confusion when it comes time to write a check. Learn more when you book your spot!